The Indian mother-in-law and what women have never done? Veena Venugopal, author of "The mother-in-law: The other woman in your marriage," explains to The Economist why Indian women are increasingly treading on each other's toes. Mary Barra's appointment to lead General Motors is a milestone for women everywhere, but here are five jobs that a woman has never held. The improved Irish economic outlook for 2014 is a welcome change from grim past New Year forecasts. SEE Ireland: GDP or GNP? Which is the better measure of economic performance? On the use of GDP or GNP, since companies such as Accenture, the US management consultants, began switching their headquarters to Ireland in 2009, the GNP metric has become a less reliable metric. This tax-avoidance move makes these firms become Irish companies. John FitzGerald of the ESRI estimated that in 2012 [pdf], these companies accounted for €7.4bn in retained profits or 5.5% of GNP. Incremental undistributed earnings boosted GNP growth by 1%. These earnings also pollute the balance of payments. This year the big entrant is Eaton, a US power manufacturer, with retained earnings of €4bn. So the boost could be over 4%. As for the drugs patent cliff, which has cut industrial production and goods exports, it will resume in 2005 with several expirations. Eli Lilly is taking a big hit this month with Cymbalta, its anti-depression drug, which accounts for about a quarter of revenues. Amgen's white blood cell booster Neupogen, which had sales to Sept 2013 of $1.1bn also lost its patent protection in December. The biotech drugs are more difficult to clone but Amgen, the leading firm, made a defensive move last year with the acquisition of a Turkish drugs firm for $700m. The problem for the drugs industry is that sales of some of the recent launches have disappointed because the benefits compared with existing products have not convinced players such as insurers and governments. Pfizer's Lipitor peaked at $13bn in 2006 and sales in the period 1996-2012 amounted to $141bn. As for biotech, most firms never make a profit and the industry posted its first profit in 40 years in 2008, only because of the performance of a small number of firms including Amgen. Irish Times columnist Fintan O'Toole's claim in this film that German banks provided funding for the property bubble, has been shown to be wrong. Throughout the 2000s, the interbank market in the UK was the predominant creditor to the Irish bank-ing system. There were several factors that contributed to the Irish economic crash of 2008 and the overreaction of ratings agencies and bond investors (as claimed by Swiss-based economists) came after the main event. Whatever other issues that can be invoked such as low euro interest rates, the simple fact is that the bubble and inevitable bust were home-made. The 3-year international bailout ended on Sunday and DPFOC, a Cork-based online marketing firm, has produced an infographic on the bailout (place cursor over image and maximise). In a time of international crisis, small economies that are dependent on foreign investors to fund most of their debt sales are particularly vulnerable as the potential buyers may have limited knowledge about such economies. In 2007 when the US subprime crisis and credit crunch signalled that the global financial sector was in trouble, Ireland and Finland, two small economies that had experienced economic crises over the previous two decades, were in sharply different positions in respect of vulnerability to an international shock. Ireland's net public debt was 10.5% of GDP compared with Finland's minus -72.5%; household debt was at 210% of gross disposable income compared with Finland's 110%. Both countries sharply cut public debt in the 1990s with the benefit of rising exports. For a number of years, Ireland with less than 1% of Europe's population was getting over a quarter of US greenfield investment; there was a huge increase in labour participation with the number of dependants that every 100 workers had to support cut from 230 to 115. FDI (foreign direct investment) peaked as a job creator in 2000 and during the 2001-2007 property bubble fuelled by tax cuts and bizarrely a raft of property tax breaks, credit growth, low euro interest rates and a large inflow of migrants from Eastern Europe, there was NO net jobs growth in the internationally tradebale sectors. In 2007, DKM Economic Consultants estimated that Irish construction output represented 22.6% of GNP and 19% of GDP, when measured in gross output terms. The construction to GDP ratio was the second highest proportion (after Spain) and ranged from less than 8% in Sweden to over 21% in Spain and with an average ratio of around 12% in Western Europe and less than 11% in the UK. By mid 2008, almost two-thirds of outstanding domestic Irish private bank credit of €416bn was property-related. Icelandic and Irish banks had the highest loan-to-deposit ratios in Europe; loan to deposit ratio rose very sharply, from 136% in January 2003 to a peak of more than 193% in October 2008. PermanentTSB peaked at 277%. One of the factors that increased market jitters was the uncertainty about the extent of bank losses. Anglo Irish Bank reported a loss of €12.7bn for the 15 months to the end of December 2009 - the largest loss in Irish corporate history - after charging €15bn to cover bad debts. The main Irish story was that a massive bubble was followed by a massive bust. Ratings agencies and bond investors were among the extras in the cast of villains. The Irish banks were not only exposed to the local property market, they enabled Irish investors to become the second biggest investors in commercial property in Europe after the Germans. About 80% of Anglo Irish Bank’s €68bn loan book was secured against Irish and British property. Bank of Ireland’s loan book in 2008 at €135bn, had 71% or €95bn secured against property. AIB’s loan book was at €150bn, and 60% was secured against property. Irish investment of €13.9bn was put into European property deals in 2007. In contrast, the Irish business sector did not even get a total of €200m in venture capital investment. Nelson Mandela who passed away December 5th 2013 is remembered through a collection of photographs in this video created with The Economist. The images were captured by South African photographer Jürgen Schadeberg who first met Nelson Mandela in December 1951. They formed a lifelong friendship and over the next 60 years. Craig Willy, an EU affairs writer and a journalist with the German Press Agency (DPA), writes in a blog post that Economic development in China and other Asian countries has an impact on the role of European states in global affairs. He argues that with the rise of Asian economies, the world is increasingly moving away from the model of free trade championed by Europe and other states in the West. Unless Europe becomes a more cohesive actor which is capable of convincing other nations to respect Western legal and commercial principles, it will find itself forced to adapt to the East Asian development model. Reuters TV: Anna Barnes was adopted from Russia when she was seven and brought to the US, only to find herself moved around the country again and again. We reported on Thursday that the Irish government choreographed what it termed an "emergency Cabinet meeting" in advance of an announcement that Ireland will exit the European Union-IMF international bailout without what was termed a "precautionary credit line." The issue of a backstop in the event of an unexpected rise in bond yields in future was just spin as the European Stability Mechanism (ESM) rescue fund could be tapped at short notice while the European Central Bank has a bond-buying programme subject to conditions. "In November 2010, the Government signed a Memorandum of Understanding (MoU) with the EU/IMF. The MoU included a commitment that, by the end of the third quarter of 2011, the Government must establish an independent regulator and implement the outstanding recommendations of the Competition Authority. In October 2011 the Minister for Justice, Equality and Defence, Mr. Alan Shatter, TD published the Legal Services Regulation Bill." The real test at a time of low growth or stagnation despite the official Irish data, is to build an economy that creates durable jobs not just add more schemes not knowing which of the existing ones work or not, while claiming credit publicly for even 20 jobs over 3 years. Modern economies are complicated and comprise vested interests, chunks of engaged and disengaged coupled with the people who do not count, while leaders are better at winning elections than governing. Process is boring whether in Ireland, Germany, France or Italy but it's what matters long-term. The current health reform in the US is potentially the greatest advance since former president Theodore Roosevelt advocated national health insurance in 1912 but while the Republicans have staged about 40 votes to strike down Obamacare, the biggest threat to the reform program has come from President Obama's lack of attention to execution and over-promising. "We campaign in poetry, but when we’re elected we’re forced to govern in prose,” Mario Cuomo, New York governor, said in a speech at Yale University, in 1985. Sometimes prose is preferable to poetry. In a television interview on his first two years in office, John Fitzgerald Kennedy, 35th president of the United States, discusses the limits of US and presidential power coupled with frustrations with Congress, that are all familiar themes today, a half century after his death. The Week magazine says Wednesday night's popular US 'Daily Show' hosted by Jon Stewart focused on JPMorgan Chase, which agreed to a $13bn fine by the US government for selling dodgy mortgage-backed securities in the run-up to the 2008 financial crisis. In 2008, the bank had acquired Bear Stearns, a failing investment bank, and Seattle based Washington Mutual, a home loans operation, with the cooperation of US regulators. To Jon Stewart, and most of the financial press, JPMorgan's tentative settlement with the Justice Department and New York State is "a mutually negotiated compensatory agreement for outstanding liabilities related to some shady business dealings," as Stewart put it. Stewart suggested that the talking heads on CNBC and Fox Business News should be equally pleased that somebody is finally facing some consequences for helping cause the Great Recession. Nope. To Jim Cramer, Maria Bartiromo, Charlie Gasparino, and the other stars of financial TV news, he noted, the $13bn fine is "a shakedown witch-hunt scalping jihad!" And Stewart has the video evidence to prove it. As for JPM, an analysis by the NYT says Bear Stearns and Washington Mutual may have contributed $16bn in net income since the end of 2008. Besides, the assets were deeply discounted when consolidated in JPM’s accounts. Paul Collier is the co-director of the Centre for the Study of African Economies, Oxford University and professor of economics and public policy at the Blavatnik School of Government. He took a five year Public Service leave, 1998-2003, during which he was director of the Research Development Department of the World Bank. The author of "Exodus" explains why debates about immigration should really be about estimating the value, and limits, of diversity in society. President Obama nominates Dr. Janet Yellen to succeed Ben Bernanke as chair of the Federal Reserve. Dr. Yellen has served in leadership positions at the Fed for more than a decade, including the last three years as vice chair. She also served previously as the chair of the Council of Economic Advisers, and was a leading researcher in monetary economics at Harvard and Berkeley. If confirmed by the Senate, Dr. Yellen would be the first woman to hold the position of chair of the Federal Reserve, 100 years after the creation of the US central bank. Janet Yellen who is 67, was born in 1946 in Brooklyn, New York. Her father was a family doctor and her mother was a teacher. At high school, she won a place to study maths at Brown University, but switched to economics, a subject she saw as more useful. In her first job at Harvard in 1971, she lectured to Lawrence Summers, the former Treasury secretary, who was expected to get the nomination. Yellen took office as vice chair of the Fed in October 2010, for a four-year term. She is professor emeritus at the University of California at Berkeley and her husband George Akerlof is a professor of economics at Berkeley and the winner of the 2001 Nobel Prize in Economics. Their son, Dr. Robert Akerlof, is an economist at the University of Warwick in the UK. Financial Times Ireland correspondent Jamie Smyth speaks to Enda Luddy, head of the Dublin office of property advisers CBRE, about his prediction of up to a 20% rise in office values in the Irish capital, in a sector which still faces major problems in rural areas. Feargal O'Rourke, head of tax at the Irish unit of PricewaterhouseCoopers (PwC), the Big 4 accounting firm, writes in The Irish Times that "we need to be a lot less supine in our defence of the Irish tax system so that the next time the 'tax haven' story rears its head, we’re much quicker to shoot it down." He of course is in tune with the official line: the tax system is transparent and he does not acknowledge that there is any profit shifting. The data suggests that it's on a massive scale. This year Microsoft was declared Ireland's biggest exporter with an annual jump of 37% in revenues -- this of course did not reflect activity in Ireland because when a resident of Madrid or Athens buys a Microsoft product, it's booked in Dublin as an Irish sale. The issue of whether or not Ireland is a tax haven or not in accordance with a particular definition, is a red herring. Only a fool would argue that there is no evidence that Ireland or for example Switzerland, do not engage in tax haven activities. This is the certitude of a man with a strong professional interest to defend his biggest clients but who appears to be oblivious to the shifting sands under his feet. The arcane debate on the definition of 'tax haven' enables the defenders of the status quo to avoid dealing with the truth. All the developed countries are members of the OECD and among them, neither Ireland, Netherlands, Luxembourg, Switzerland, the UK (with responsibility for 10 island tax havens, known as Crown Dependencies and Overseas Territories) and the US (in Delaware it’s easy to set up shell companies with no questions asked and 1209 N. Orange Street, Wilmington, Delaware is the legal address of companies such as Apple, Bank of America, General Electric, Google, among up about 285,000 other corporations), meet their definition of tax haven -- and for good reason. All view it as a pejorative term and in 2009 when President Obama termed the Netherlands a tax haven, the Dutch government protested and the Treasury Department adjusted documentation to please them. Bloomberg reported last January that multinational companies routed €10.2tn in 2010 through 14,300 Dutch “special financial units,” according to the Dutch Central Bank. Such units often only exist on paper, as is allowed by law. The Dutch foreign direct investment flows make Cyprus look like the corner shop and in recent weeks, the Dutch government announced measures to combat tax haven activities including the use of letterbox companies by overseas tax residents. The Netherlands has 23,000 such letterbox companies, managed by 176 licensed trust firms. These companies attract huge flows of money, making €8tn worth of transactions in 2011 – 13 times the country’s gross domestic product. It is not just financial letterbox companies that realise the tax benefits of the Netherlands. The Rolling Stones and U2 both have companies in the same 17th-century Amsterdam canal house, which they list as the owners of their intellectual property, taking advantage of the lack of Dutch withholding taxes on royalties." So the Netherlands isn't a tax haven? Last May after the US Senate's report on Apple's use of what were termed 'stateless' Irish companies, Ambassador Michael Collins sent a letter to Capitol Hill on behalf of the Irish government, stating that Ireland wasn't a tax haven. Most reasonable people would agree that negotiating special tax arrangements that allow companies to pay little or no income tax meets a common-sense definition of a tax haven." So the key focus should be on tax haven activities and all but fools and the self-interested would deny that for example Switzerland is in this boat. The OECD in 1998 defined the following features of tax havens: no or low taxes, lack of effective exchange of information, lack of transparency, and no requirement of substantial activity ('Harmful Tax Competition: An Emerging Global Issue'). However, Dutch letter box companies can operate within this definition and the Eaton Corporation with over 100,000 staff, can move its headquarters from the US to Ireland to avail of the low tax rate, and effectively become an Irish company but with no substantial activity in Ireland. The taoiseach and ministers have been using the term 'transparent' about the tax system in recent months but the claim is false. Following a Wall Street Journal report in 2005 that two of Ireland's biggest companies by revenues were virtual companies operating from the office of a Dublin law firm, their owner Microsoft was advised to convert them to unlimited status to avoid filing accounts with the Irish Companies Office. Apple took the same route and the 2003/2004 financials were the last that were publicly available; Intel Ireland is a branch of a Cayman Island letterbox company and its Irish accounts are kept secret. Pfizer Ireland is a branch of a Dutch partnership and its Irish financials are not publicly available. What can be said with absolute certainty is that every company within the charge to Irish tax pays tax at 12.5% on their activities." When Google books almost half its global revenues in Ireland, it uses intercompany charges to minimise net income before tax. In 2010, Google Ireland's net income before tax as a ratio of revenues was 0.18% down from 0.60% in 2009. In 2011, revenues were at €12.4bn and net income before tax was €24m. Tax on trading activities was €3m. Google Inc.'s net income before tax ratio of revenues in 2009, 2010, 2011 was 36%, 37% and 31%. In Microsoft's case, 1,914 employees in Ireland, Singapore and Puerto Rico from Microsoft’s total head count of 90,000, were responsible for 55% of 2011 profit before tax. Microsoft’s Irish operating centres account for roughly 30% of the company’s global revenue, so the Irish entities contribute 30% of the cost of research and development to the global cost share pool. However, Microsoft Ireland Research (MIR) in Dublin only accounts for less than 1% of the company’s total R&D. Feargal O'Rourke knows well that the Revenue is much more likely to audit a local firm compared with the likes of Microsoft - - until this year the Revenue was unable to say if even one R&D tax credit claim was rejected in a decade. US Bureau of Economic Analysis (BEA) data shows that in 2010, 98,500 Irish workers accounted for more sales than 598,000 in Germany ($324bn compared with $316bn) and German majority affiliates of US firms could only manage a net income/revenue ratio of 3% compared with 30% in Ireland. The UK's 1.2m in US affiliates produced revenues of $682bn and net income of $87bn. Profitability per Irish worker was $970,300 and $72,500 in the UK. Net income in Ireland jumped by 37%. What profit shifting? What crisis? ...and Feargal O'Rourke puts his faith in transfer pricing rules! Perish the thought as our merchandise trade surplus vapourises! In services, intercompany charges are used to wipe out the surplus. The Economist: Sam Leith, author of "Are You Talkin' To Me? : Rhetoric from Aristotle to Obama", reveals the multifarious influences that combined to produce one of the greatest speeches of the 20th century. Wednesday, August 28, 2013, will mark 50 years since Dr. Martin Luther King Jr. delivered his iconic “I Have a Dream” speech at the base of the Lincoln Memorial; a moment which served to punctuate a movement that changed America. President Obama, the 44th president and the first black among the 43 men who have served as president of the United States, will be joined by President Jimmy Carter and President Bill Clinton, members of the King family and other civil rights leaders at the Let Freedom Ring Commemoration and Call to Action event at the Lincoln Memorial, to commemorate Dr. King’s soaring speech and the 1963 March on Washington. Until five years ago China's economy relied remarkably little on debt. But China lost its debt inhibition in late 2008 when the global financial crisis erupted. With growth slowing sharply and 20 million people losing their jobs overnight, the government unleashed a giant stimulus that was powered almost entirely by bank loans. The debt genie was out of the bottle -- and it has been extremely difficult since then for China to stuff it back in. The FT's Simon Rabinovitch reports from Guiyang. Apple's seen its market share in China dwindle as homegrown smartphone makers crank out feature-packed budget models. Could the launch of a cheaper iPhone restore its flagging fortunes? Vladimir Putin, Russian president, has looked gloomier than usual in recent times. In June, The New Yorker reports a television reporter approached Putin and his wife, Lyudmila, in the Grand Kremlin Palace. The First Couple was leaving after the first act of the ballet “La Esmeralda.” After a few minutes of small talk about music and dancing, she asked a most impossible question: Why did they appear so rarely in public together? Putin’s response, confirmed by his wife: they had decided it was time for them to divorce. This is not the first time ballet happened to be the setting for a Russian personal and political drama: back in August, 1991, state television was playing “Swan Lake” just as Communists attempted a coup. The New Yorker added that Putin has never appeared in public with his family; the Russian people have never even seen either of his two daughters. On the very rare occasions that he even mentioned his daughters, Putin hasn’t said their names—he just refers to them as “they”. His wife Lyudmila barely acted as the First Lady. After the first years of his tenure she stopped accompanying him abroad, and more or less disappeared from the scene. A common half-serious suggestion was that Putin had had her locked in a nunnery—just as the Russian tsars did when they sought to get rid of unwanted tsarinas. The London Independent reported Friday that Putin cut a lonely figure after he was spotted wandering by himself through the streets of St Petersburg. On Friday, the Russian leader was seen pensively walking through the city following the funeral of his Judo instructor Anatoly Rakhlin. Putin marched on wearing a moody look and avoiding eye contact, while his aides and security rushed to catch up with him. The newspaper said Putin is known to be a master in the dojo when it comes to Judo and it is clear that the death of Rakhlin has affected him deeply. Rakhlin had reportedly been battling a long illness and considered himself to be a second father to the president. China executes far more people than the rest of the world combined, but numbers have fallen dramatically in recent years. The Economist estimates that the numbers have fallen from an estimated 30,000 annually in the 1980s to about 3,000 today. The number of executions in the 1980s was itself very low compared with 30 years before when a large number of suspected revolutionaries were executed. Reformers worked quietly within the system to bring about the change and panels now review every death case. In the weeks, days or even minutes before they are executed, presenter Ding Yu goes into prisons and talks to those condemned to die. Combining clips from the TV show, never-before-seen footage of China's death row and interviews with a local judge who openly questions the future of the death penalty in China, This World reveals a part of China that is generally hidden from view. CNN reported last April that China, the United States and three Middle Eastern nations carried out the most executions in 2012, rights group Amnesty International said, but a global trend toward ending the death penalty persisted. From 1949 to 1953, when the Chinese communists were consolidating power and laying the groundwork for their vast country's social and economic transformation to communism, the regime killed on the order of ten million people, mainly in their camps. Twenty new jobs at Enterprise Ireland to trigger 1,200 additional Irish jobs!!! The Irish Government claimed on Friday that 20 new jobs planned for the overseas offices of Enterprise Ireland, the public agency responsible for assisting indigenous exporting firms, will trigger 1,200 additional Irish jobs by 2015. This pearl of wisdom from a management consultancy, makes job creation seem easy and what if 100 or a multiple were employed? Richard Bruton, enterprise and jobs minister, said 20 additional staff will be recruited locally on fixed term contracts and will be assigned to offices in key target markets including in particular the BRICS countries (Brazil, Russia, India, China and South Africa). "It is estimated the deployment of the requested additional resources can drive export growth across the specified markets over and above what can currently expected to be achieved with EI’s existing resources in place. It is estimated that this incremental export growth of an additional €250m per annum by 2015 would result in an estimated additional 1,200 jobs in Ireland. This request for additional resources in selected markets is based on a clearly identified market opportunity which is matched by clear evidence of EI client demand/capability and which will result in a substantial increase in exports and resulting jobs in Ireland." What is striking is that after 60 years of public support for the indigenous sector, there is so little data available on what works or doesn't. EU enterprise reports often have blanks for Irish data. No longitudinal studies are done that would track success and failure over time. There is a lot of detail in Friday's statement but key data is deliberately missing. There is no data on indigenous exports to the BRIC countries. Wonder why? Total exports of goods (2012 ) and services (2011) amounted to €7.7bn -- 4.35% of the total headline exports value of €177bn in 2012. Most of these exports are from foreign-owned firms in Ireland. The reason why no data on exports is highlighted is because indigenous exports to each individual country, are at a decimal point. Earlier this week, Eamon Gilmore, foreign affairs, trade and deputy prime minister, made the stupid claim in Beijing that China is crucial to the Irish recovery. However, what he did not reveal was that indigenous exports are at about 5% of total exports to China or €200m in value. This reality raises a question on the wisdom of trying to sell everywhere when outside of the UK, Irish-owned firms have limited success in Europe. One day in 1968, Jane Elliott, a teacher in a small, all-white Iowa town, divided her third-grade class into blue-eyed and brown-eyed groups and gave them a daring lesson in discrimination. This is the story of that lesson, its lasting impact on the children, and its enduring power thirty years later. Finfacts: Famous speeches and their impact from Pericles to Hillary Clinton - - including the 'I have a Dream' speech that was made in 1963 by Martin Luther King, the black civil rights leader. He was assassinated in 1968. The Harvard Business Review says that the amazing resilience of the German economy is often attributed to its reliance on Mittelstand companies, small to medium sized enterprises. These typically family-run businesses employ more than 70% of all German employees in the private sector, and are export-oriented, making Germany the second-largest exporter in the world. There is a wonderful account of these companies in the book 'Hidden Champions' by Hermann Simon, former INSEAD professor and now Chairman of Simon, Kucher & Partners. "Buy a bottle of champagne and it puts money in the pocket of Schneider and Co., a family-owned manufacturer that from a remote perch in the German countryside has created a global monopoly on the wire cages that secure the corks on sparkling wine. Obscure in a country of marquee exporters such as Mercedes-Benz and Siemens, the company's international focus is common among small and often family-owned firms in Germany. Schneider's highly automated plants (in Germany) and in Italy, Spain and Brazil churn out 2bn of the devices a year. Its dominant market share -- amassed over 30 years -- helps explain Germany's complex and controversial role in the European economy." The annual illegal burning of the rain forest peat lands on the Indonesian island of Sumatra to make way for the planting oil palm trees, has long been an irritant for neighbouring countries, Malaysia and Singapore. In recent days, in particular Sunday and Monday, Kuala Lumpur, the Malaysian capital where Finfacts is based, was blanketed in a smoky haze and the air smelt of soot. Angry reactions from Singapore and Malaysia have elicited an apology from Indonesia's president, Susilo Bambang Yudhoyono, but the FT's Ben Bland says that corruption and poor data make it very difficult to find the culprits. 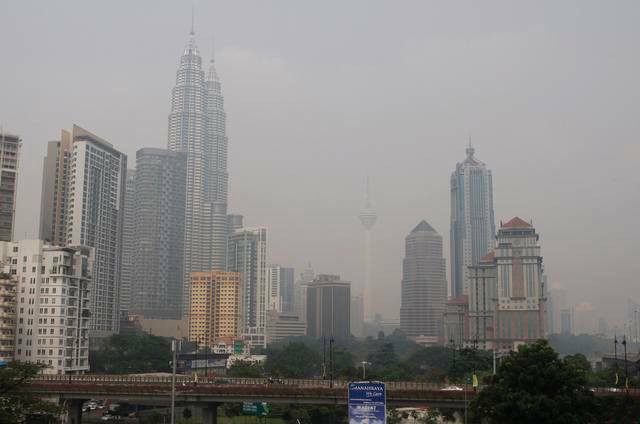 Meanwhile the real victims are Indonesians who have to live with this kind of haze every year. It's striking that given two Irish economic disasters in the space of a generation, that followed appalling periods of misgovernance, senior civil servants have been profiles in cowardice and have docilely accepted increasing political control, in a system that has become addicted to spin. If the public enterprise agency heads are as sycophantic in private as they are in public, then why should there be surprise that despite long-term unemployment (1 year or more) at almost 200,000 people and more than 500,000 Irish people on the Live Register and in publicly-funded activation programs, Ireland lacks a credible jobs strategy for the long-term. I cannot recall anything of consequence publicly uttered by Barry O’Leary, current IDA Ireland chief or Frank Ryan, Enterprise Ireland chief. Frank Barry, a professor of International Business and Economic Development at the School of Business, Trinity College Dublin, has written [pdf] that many of the institutional innovations that would give birth to the modern Irish economy emerged over the course of the 1950s. The Industrial Development Authority and Córas Tráchtála - - a forerunner of today’s Enterprise Ireland -- took shape at the beginning of the decade. The origins of our low corporation tax regime lie in the export profits tax relief introduced in 1956. Discussions on trade liberalisation reached fever pitch in the late 1950s, triggered by the imminent establishment of the European Free Trade Association (EFTA). Economic policymakers of the time faced a diversity of viewpoints from within the bureaucracy. "The Departments of Finance and Industry & Commerce offered distinct sets of policy choices, and politicians rarely adopted policies that had not been advocated by – or garnered the support of – one or other of these camps. The bureaucracy of the time, furthermore, guarded its independence jealously. This is in sharp contrast to the situation that prevailed in the build-up to the present crisis, as revealed by recent reports into the performance of the Central Bank, the Financial Regulator and the Department of Finance. TK Whitaker (b.1916), who was appointed head of the Department of Finance in 1955 at the age of 39, was given permission in 1958 to have ‘Economic Development’, the seminal blueprint for a modern Irish economy, published under his own name. He became publicly associated with the new economic departure and what is striking is how craven senior public staff have been in the past half-century despite his precedent. In the period 1977-1981 the national debt trebled and in 1978 a budget deficit of almost 18% of GDP (gross domestic product) was recorded - - the largest for a developed country in the period 1970-2008, according to the IMF. It took a decade to climb out of the hole and a decade later, delusionists who believed they had invented the free lunch, held sway. No senior civil servant or central banker dared shout stop in public. It’s a shameful record of cowardice. It would make a difference if individuals who may be much more versed than ministers on particular policies felt able to go beyond official talking points. Ministers have been twittering about income tax this week, motivated by party concerns. A cross could be put on the mantelpiece, if there was for example a spin-free debate on long-term jobs strategy. May 30 - The public backlash on corporate tax avoidance is growing -- and politicians are listening. At this week's OECD meeting another 12 countries pledged to fight tax secrecy, bringing the total to 60. Nicolas Sarkozy, when French president, wanted the Irish corporate tax rate raised from 12.5%. The Irish government insisted that effective tax rates (actual tax paid after various allowances, as a ratio of earnings) applied in France were lower than those levied in Ireland - - but this claim is misleading at best and if believed by people who should know better, reveals them to be of out of their depth. Sarkozy had picked the wrong target given the stories of massive tax avoidance where the effective rate or the actual level of tax is often none. Taoiseach Enda Kenny, on a panel with other European prime ministers, at the annual meeting of the World Economic Forum in Davos, Switzerland, said last January, that Ireland is not a tax haven for unorthodox practices and Ireland's tax regime is "very clear, very transparent." He also said the effective corporate tax rate was 11.9% compared with the headline rate of 12.5%. One claim was false and the other was very misleading. Richard Bruton, jobs minister, in early January had also used the 11.9% rate - - so it was the agreed government number. This rate has no relevance to big foreign multinationals in Ireland: there is a 25% R&D tax credit, investment allowances and zero tax on patent income. Do either Kenny or Bruton, or Michael Noonan, finance minister, know that Microsoft disclosed last year that its fiscal year 2011 effective tax rate in Ireland was 5.69%? In France the statutory corporate tax rate is 33.3% while the actual effective tax rate is lower than Ireland’s 12.5% at 8.2%. Feargal O’Rourke, head of tax at PwC Ireland, said the transparency between Ireland’s statutory and effective tax rates were part of why it was attractive to multinational companies. “Ireland’s transparent tax regime and low corporate tax rate, together with the relative ease to pay tax, is vital in continuing to underpin the positioning of Ireland as a location of choice for foreign direct investment. This transparency and relative ease to pay taxes is an even more important element in providing us with an opportunity to help multinational corporations establish operations in Ireland,” he said. The claims are based on a global survey by PwC (PricewaterhouseCoopers) and Feargal O'Rourke knows that his multinational clients do not generally have an effective rate close to 12%. KPMG, another Big 4 accounting firm says that France's standard corporate tax rate in 2013 is 33.33%. A 3.3% social contribution is levied on the part of the corporate income tax that exceeds €763,000, resulting in an overall maximum tax rate of 34.43%. In addition, a temporary 5% surtax is levied on the (full) corporate income tax for entities with a sales turnover over € 250 million. This temporary surtax, which brings the overall maximum tax rate to 36.10%, is expected to apply to financial years (closed) from 31 December 2011 until financial years (closed) on 30 December 2015. Specific categories of income can benefit from a reduced corporate tax rate under conditions. In particular, licensing fees relating to certain IP rights can benefit from a 15% corporate tax rate (respectively 15.5% or 16.245% taking into account the above two surtaxes). Small and medium size companies with a turnover of €7.63 million or less owned at least 75% by individuals (or owned by companies meeting the same conditions) are subject to a corporate income tax rate of 15%. This reduced rate applies to taxable profits up to € 38,120. These small and medium size companies are not subject to the above-mentioned social contribution and temporary surtax. The 11.9% rate comes from a report, 'Paying Taxes 2013,' that was produced by PwC. Has a trading loss brought forward from previous year. Apple shifted "golden goose" and 64% of 2011 income to Irish "shell corporation"
Irish Economy: Actual Individual Consumption per capita in Ireland is at EU average along with Italy; Germany at 20% above and UK at 18% - - Irish GDP per capita is 29 % higher than the EU average but that statistic is misleading. Michael Noonan, Irish finance minister, appears to be taking a leaf from the playbook of Tim Cook, Apple's CEO, who on Tuesday at a US Senate panel hearing took the tack that the best form of defence is attack -- there are no tax gimmicks in a company with an overseas effective corporate tax rate of 2% in 2012 with more than 60% of sales coming from outside the United States; no shifting of intellectual capital to Ireland and so on. Noonan on Wednesday is reported to have told an Oireachtas finance committee meeting that Ireland was a “transparent, tax compliant country” - - the word transparent is from 'taking points' drawn up for ministers but like Tim Cook's understanding of what a 'gimmick' means, what the minister really thinks it means is unknown. Noonan needs to be more transparent himself as revenues received by an Irish company, Apple Sales International, which is neither tax resident in Ireland or the US,were the subject of taxes in Ireland and these billions in invoicing are likely booked as Irish services exports by the Central Statistics Office. The Merriam-Webster dictionary has a definition of transparent that is appropriate in this context: "characterized by visibility or accessibility of information especially concerning business practices." The biggest companies operating in the country can keep all their financial information inaccessible to public view and this is part of a transparent system!! Apple's accounts have been shielded from public view since 2006. Intel and Pfizer do not publish accounts in Ireland as they are branch operations of Cayman Islands and Dutch firms. Who can check that this is correct? Here he is suggesting that on local Apple sales in Ireland, it paid the full 12.5% rate on its profits - - no capital allowances at all? Looks dodgy Mr Minister -- because these are utilised by other units in Cork? How could that be? It's Apple that made the statement about the low tax deal to the US Senate panel; so let them clarify their statement. Noonan said the stateless/ ghost Apple companies that were registered in Cork were neither tax resident in the US nor tax resident in Ireland, and “because they are not tax resident in Ireland they’re not liable to Irish tax”. However, one of the ghost companies, Apple Sales International, receives billions in income from overseas and pays tax, even though low, in Ireland? "In 2012, as a result of Apple’s restructuring of its Irish subsidiaries, ASI was assigned 250 employees who used to work for its parent, AOE (Apple Operations Europe).Despite acquiring those new employees, ASI maintains that its management and control is located outside of Ireland and continues to claim it has no tax residency in either Ireland or the United States. Despite its position that it is not a tax resident of Ireland, ASI has filed a corporate tax return related to its operating presence in that country. As shown in an earlier chart, ASI has paid minimal taxes on its income. In 2011, for example, ASI paid $10 million in global taxes on $22 billion in income; in 2010, ASI paid $7 million in taxes on $12 billion in income. Those Irish tax payments are so low relative to ASI’s income, they raise questions about whether ASI is declaring on its Irish tax returns the full amount of income it has received from other Apple affiliates or whether, due to its non-tax resident status in Ireland, ASI has declared only the income related to its sales to Irish customers. Over the four year period, 2009 to 2012, ASI’s income, as explained below, totaled about $74 billion, a portion of which ASI transferred via dividends to its parent, Apple Operations Europe. ASI, which claims to have no tax residence anywhere, has paid little or no taxes to any national government on that income of $74 billion. So which Apple company employs the staff that provide services across the globe? The issue of global services which then become services exports is also relevant here - - see Finfacts report above on how revenues diverted from other countries become Irish services exports. We estimate that over €40bn of Irish services exports may be fake. Michael Noonan has claimed that the surge in services exports is not tax related but the result of improved competitiveness, when the facts suggest it's a result of tax-related diversions of revenues. Since March, I have been seeking a response via Brian Meenan, a press officer in the Department of Finance on the following. However, Meenan does not even acknowledge e-mails -- the worst performance of any press office I had to deal with in the public sector. "The services sector is playing an increasingly significant role in export growth, having grown by 9.4% over the first three quarters in 2012, and now exceed the level of goods exports by just over a billion euro. This owes much to the significant price and cost adjustments that have taken place in recent years." "Support for overall activity is coming from the exporting sectors, with services exports becoming an increasingly important engine of growth in recent quarters. This, in no small part, reflects the improvements in price and cost competitiveness that have been evident since the onset of the crisis." As the CSO confirmed last week that 'computer services' grew by 15% in 2012, can the Department confirm that this development is mainly due to cost competitiveness issues? I raise this issue because it appears that these claims are false and in the aftermath of the economic crash, it's important that departmental positions are credible. Simply, our research shows that price and cost competitiveness are not crucial issues. Has the policy of some foreign-owned services multinationals in centralising end-user revenue bookings from other jurisdictions in Ireland any impact on the services export performance? I do not seek any comment on individual companies. Facebook in a pre-IPO SEC filing said its principal global tax jurisdictions are the US and Ireland. NAMA Wine Lake, the blog that has tracked NAMA – National Asset Management Agency - since Ireland's bad bank was created in 2009, has closed . It is another win for the establishment elite including the mainstream media. Citizen activism is very important when the people running the show are generally older men who just some years ago thought that the free lunch had been invented. Today with the support of generous safety nets and the security of the euro, they are making crucial decisions or not, that largely do not impact them. So best wishes to Jagdip Singh. That is easy to say even though well meant. However, warm words do not butter parsnips in the modern money economy. Jagdip Singh provided an important service but no number of consequence would pay for it, no matter how low.. Meanwhile, Tumblr, the blogging platform like WordPress, the host of this site, has been acquired by Yahoo for $1.1bn. These blogging platforms depend on free content and this model has been compared with the California Gold Rush where most of the money was made by the suppliers of shovels and pickaxes. Not all citizen activism is good - just think of Nimbies who want to have their cake and eat it. A stunning example of the success of positive citizen activism was provided at the weekend when Eric Schmidt, Google chairman, conceded that international corporate tax loopholes should be closed. He didn't say what role his paid lobbyists in Washington would have. Just over two years ago, protesters against tax avoidance, mainly women, from a group called UK Uncut began occupying the high profile retail stores of the Arcadia group such as Topshop, BHS, Burton, Miss Selfridge and Dorothy Perkins, controlled by Sir Philip Green, one of Britain's richest men. I say controlled because over £1bn in dividends had been extracted from the privately held Arcadia without paying any tax, as the owner of Arcadia was Green's wife - a tax resident of the casino statelet of Monaco. "I can attest from my own & others' experiences that those of us who run anything independent of the officialdom mouthpieces (regardless of political / ideological orientation or even the lack of one) have near-zero support (moral or citations- and links-wise) from our internal (not to be confused with international) media and all businesses. Those in our society, including the traditional media, who only benefit from the free analysis and the climate of openness and debate the independent analysts help to create prefer to endlessly endorse and support, including via advertising revenues, cross-links, citations and readership, those who offer no alternative but consensus." Page made his disclosure on Google+ on Tuesday. "About 14 years ago, I got a bad cold, and my voice became hoarse. At the time I didn’t think much about it. But my voice never fully recovered. So I went to a doctor and was diagnosed with left vocal cord paralysis. This is a nerve problem that causes your left vocal cord to not move properly. Despite extensive examination, the doctors never identified a cause — though there was speculation of virus-based damage from my cold. It is quite common in cases like these that a definitive cause is not found. While this condition never really affected me — other than having a slightly weaker voice than normal which some people think sounded a little funny — it naturally raised questions in my mind about my second vocal cord. But I was told that sequential paralysis of one vocal cord following another is extremely rare. Fast forward to last summer, when the same pattern repeated itself — a cold followed by a hoarse voice. Once again things didn’t fully improve, so I went in for a check-up and was told that my second vocal cord now had limited movement as well. Again, after a thorough examination, the doctors weren’t able to identify a cause. Thankfully, after some initial recovery I’m fully able to do all I need to at home and at work, though my voice is softer than before. And giving long monologues is more tedious for me and probably the audience. But overall over the last year there has been some improvement with people telling me they think I sound better. Vocal cord nerve issues can also affect your breathing, so my ability to exercise at peak aerobic capacity is somewhat reduced. That said, my friends still think I have way more stamina than them when we go kitesurfing! And Sergey says I’m probably a better CEO because I choose my words more carefully. So surprisingly, overall I am feeling very lucky. Interestingly, while the nerves for your vocal cords take quite different routes through your body, they both pass your thyroid. So in searching for a cause for both nerves that was an obvious place to look. I was diagnosed with Hashimoto's thyroiditis in 2003. This is a fairly common benign inflammatory condition of the thyroid which causes me no problems. It is unclear if this is a factor in the vocal cord condition, or whether both conditions were triggered by a virus. In this journey I have learned a lot more about voice issues. Though my condition seems to be very rare, there are a significant number of people who develop issues with one vocal nerve. In seeing different specialists, I met one doctor — Dr. Steven Zeitels from the Harvard Medical School and the Massachusetts General Hospital Voice Center — who is really excited about the potential to improve vocal cord nerve function. So I’ve arranged to fund a significant research program through the Voice Health Institute, which he will lead. Thanks a bunch to my amazing wife Lucy, for her companionship through this journey and for helping oversee this project and get it off the ground. Also, thanks to the many people who have helped with advice and information many of whom I have not had a chance to thank yet." That changes at No. 6 with WhatsApp, one of the most popular messaging apps in the world at 99 cents. Canalys, a US research firm said in April that research covering the leading app stores in more than 50 countries, shows healthy growth in the download and purchase of apps on mobile devices in what is now a maturing market. App downloads across the four stores – Apple’s App Store, Google Play, the Windows Phone Store and BlackBerry World – climbed 11% in Q1 2013 worldwide over the Q4 2012 total, while direct revenue from paid-for apps, in-app purchases and subscriptions combined grew by a slightly more modest 9%. Combined, downloads from the stores totaled more than 13.4 billion, and revenue reached $2.2 billion (before revenue sharing is taken into account). Canalys said last December that a small number of developers, almost entirely game companies, continue to generate the majority of revenue at the leading app stores - Apple’s App Store (iPhone only) and Google Play. Based on daily App Interrogator surveys, Canalys estimated that just 25 developers accounted for 50% of app revenue in the US in these stores during the first 20 days of November 2012. Between them, they made $60 million from paid-for downloads and in-app purchases over this period. Of the top 25 earning apps' developers, all but for one exception (popular music service Pandora with its Pandora Radio app) are game developers. They include cross-platform game developers as well as mobile game specialists, and include Zynga, Electronic Arts, Disney, Kabam, Rovio, Glu, Gameloft and Storm8’s TeamLava. ‘Part of the story here is that successful game developers almost invariably have multiple titles generating revenue,’ said Canalys VP and Principal Analyst Chris Jones. ‘Zynga, for example, had 15 titles in the list of top 300 grossing iPhone apps on average in Apple’s App Store every day, and nine titles in the equivalent list in the Google Play store. The Milliken Institute held a panel discussion on teh app economy in April 2013 - - scroll through to about 6:40 minutes to get to the start of the video. Though the most popular smart phone activity may be flinging kamikaze birds across a small screen, mobile apps mean big business -- even for small businesses. Navigation has become social, with programs showing up-to-the-second data about your drive from Tucson to Toledo. We can now exchange business cards with a quick phone bump. We can board jets and enter theaters ticketlessly - and manage our health through monitoring devices that connect to electronic medical records. Demand seems insatiable, and many developers, designers, and marketers are well-rewarded. Apple has reported more than 40 billion app downloads, covering 775,000 programs on the App Store alone, and those developers have been paid, in aggregate, more than $7 billion. About 500,000 jobs have been created in a field that didn't exist five years ago. This is the new apps economy. It's global, it's social, it's empowering a new generation of entrepreneurs and it's changing the way we do business. The Irish manufacturing sector moved further into contractionary territory during April, with output and new orders each declining for the second month running amid signs of deteriorating economic conditions. The mainly US-owned pharmaceutical and medical devices sector accounts for about 60% of merchandise exports and drug patent expirations are clearly having an impact. On the patent cliff, a problem for Big Pharma is that high spending on R&D has been producing low returns over the past decade. The majority of sales for the world's leading pharmaceutical companies are derived from the most mature drugs, with the top three drugs for a company on average contributing 44% of total sales. The testing thresholds have increased overtime with new knowledge and litigation fears. The patent period of 20 years for non-biotech drugs after testing etc can be about 10 years. Pfizer's Lipitor had peak annual sales of $13bn -- a world record - - and it's hard to replace that level of revenue. Alzheimer's is a huge opportunity and the monetary cost of dementia in the United States ranges from $157bn to $215bn annually, making the disease more costly to the nation than either heart disease or cancer. In coming years, it will 'swamp' the US healthcare system according to one expert. While approvals increased in 2011, in 2010, the US Food and Drug Administration's (FDA) drugs division approved just 21 novel medicines -- less than half the level seen in 1996 and 1997. Roughly the same number of drugs was approved by the FDA in 2008 as were approved in 1950. Between 2010 and 2015 products with sales of more than $142bn will face copycat competition -- from total sales in excess of $800bn. Deutsche Bank has said that the top seven European firms spent $161bn in R&D during 2007-11 to produce drugs with a net present value of just $86bn. About 7,000 diseases affect the human family, but only 600 have treatments. Fewer than 3% of rare diseases have an FDA approved treatment, yet one in ten Americans is affected by a rare disease. Simon Kuper, The Financial Times columnist, recently speculated that Margaret Thatcher’s early opposition to German reunification, gave President François Mitterrand an opening to demand Chancellor Helmut Kohl’s agreement to the launch the euro. A year before in 1988, Jacques Delors of France, the European Commission president, had set up a committee of central bankers plus himself as chairman, to explore the issue of a common currency. In an interview conducted for a journalist's PhD thesis, Germany's longest-serving postwar chancellor said that he would have lost any popular vote on the euro by an overwhelming majority. "I knew that I could never win a referendum in Germany," he said. "We would have lost a referendum on the introduction of the euro. That's quite clear. I would have lost and by seven to three." The Daily Telegraph said this month that the interview was conducted by Jens Peter Paul, a German journalist in 2002, the year when the Deutsche Mark was replaced by euro notes and coins, but has only been published now. In it, Kohl describes adopting the euro as an emblem of the European project, which he said had prevented war on the continent. Born in 1930, Kohl's politics were shaped by his country's history in the 1930s and 1940s; his final years in power were focused on promoting European unity. In the interview, he said: "If a chancellor is trying to push something through, he must be a man of power. And if he's smart, he knows when the time is ripe. In one case - - the euro - - I was like a dictator ... The euro is a synonym for Europe. Europe, for the first time, has no more war." However, Kohl, Mikhail Gorbachev, the leader of the Soviet Union and President George H. Bush, were the main players. Kohl could have delayed the euro project but just 14 months after the rebirth of a united Germany in October 1990, the Maastricht Treaty was signed to give effect to a common currency. Later, at a summit In Dublin in 1996, President Jacques Chirac wanted the new currency called the écu (not to be confused with ECU — the European currency unit) named after a gold coin minted in 1266 during the reign of Louis IX. However, to the Germans, it sounded like the word cow. This paper details fraught Franco-German relations prior to the euro’s launch. So, the French saw the euro containing German economic power but didn’t bargain that both consecutive annual budget deficits since 1974 and annual trade deficits since 2002 would weaken itself. There was no alternative to reunification but the politics got much more attention than the economic impact. However, taking on this project and the euro was quite a lot. Again, the politics were more important than the economics when it came to the euro. Kohl was thinking of the political benefit for his CDU party by allowing East Germans to exchange their currency for Deutsche Marks at parity but even firms in the East that could have survived during a period of adjustment, didn’t have a chance. It’s not uncommon for contemporary politicians to be seen as dwarves compared with perceived giants of the past. The styles of Angela Merkel, current German chancellor, and Helmut Kohl (1982-1998) are polar opposites. Even so, Kohl did not level with the German people when he was embarking on momentous journeys. I think it is a bit facile to believe that it would have hugely mattered if Merkel was more candid with the German people about seeking support for huge transfers to struggling economies. Otmar Issing, the first ECB chief economist, said in 2010 (video above) that in early 1990, he was a member of the council of economic advisers (the so-called ‘wise men’) and the group issued an open letter opposing a West-East German currency union (with parity between both currencies). Issing said all the economic risks they warned about came to pass. Merkel is indecisive while Kohl acknowledged acting like a ‘dictator’ in pushing forward the euro project. He certainly seems to be a stubborn person and while it’s not unusual for family to be sacrificed for political ambition, it seems strange to me that a father would maintain an estrangement with his two sons for decades. In 2001, they lost their mother to suicide (she had a rare allergy to sunlight). "The hasty reunification cost almost two trillion euros in transfer payments, and it was the greatest example of economic mismanagement in the history of the world. It was a record, which is only now about to be smashed by the euro-disaster. One can hardly be surprised that the (formerly West) Germans, who had to put up with the transfer payments to East Germany (and must still put up with them) want no further transfer union in Europe…Due to the costs of reunification, Germany entered the euro at an inflated exchange rate. The result was that for a whole decade German economic policies concentrated on boosting Germany’s own competitiveness against third parties instead of strengthening the economic performance of the Eurozone as a whole. And that was one of the major causes of the crisis that would come later. German and European unification can therefore largely not be reconciled, because they have both turned out badly economically. I believe that future historians will take a critical view of German unification and Kohl’s merits, which is the view today."